If you are ready to print your book, ZDocs is ready to help. 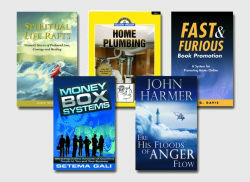 We specialize in helping people find new business opportunities through book publishing. Consultants, public speakers, professors, business owners, CEOs, lawyers, doctors, sales professionals and many other people publish books to set themselves apart from their competition. To get started today, simply click here. Key #1: Decide the best way to publish your book Authors today have many publishing options, the key is finding the publishing model that fits you best. ZDocs specializes in helping people build businesses with their books and we'd like to learn more about your book.Click to tell us more about your book. Key #2: Working with a strong team At ZDocs you have access to professional editors, proofreaders, cover designers, interior page designers and other experts to support your project. Your personal project manager will work with you every step of the way. Key #3: Be in control With ZDocs, you retain all copyrights and own your ISBN 100%. Your ZDocs team will make many recommendations about publishing your book, but you make the decisions. It's as simple as that. A key to building a business with your books is to understand the costs involved. At ZDocs, all costs are fully disclosed and transparent. You are not obligated to pay for any service you do not wish to use and we do not take a share of your royalties. All profits are yours. Once your book is published, we can help you list it on Amazon and Barnes & Noble.com or even do it for you if you prefer. We also offer two months of free online coaching to help you market your book using social media. Your consultant will guide you through these steps once your books are ready. To learn more about the ZDocs program, please use the "Request Estimate Form" to tell us about your book and what you want to accomplish. A project manager will contact you to discuss your book in more detail. You can also reach us by calling toll free at 1-888-390-1748 or by sending an email to zdocs@zdocsonline.com. Thank you and we look forward to serving you with your book printing, self publishing or book promotion needs.